Over 100 young professionals gathered at Umbria Prime on Tuesday, June 21, 2016 for YPEM's 3rd Annual Trivia Event, presented by Robert Half. The lively evening welcomed over 20 teams who battled in a friendly stump trivia competition in support of the fight against cancer. Attendees were welcomed to the event by Executive Director, Frank Heavey, who spoke to the mission of Expect Miracles Foundation and thanked everyone for their support of YPEM. Trivia kicked-off shortly thereafter with tough questions ranging from science and television to sports and geography. Attendees enjoyed drinks and networking as well as food donated by Nunzio’s, Brandy Pete’s, Freshii, and Umbria Prime. All players were entered to win a Dinner for Two at Pasta Beach. 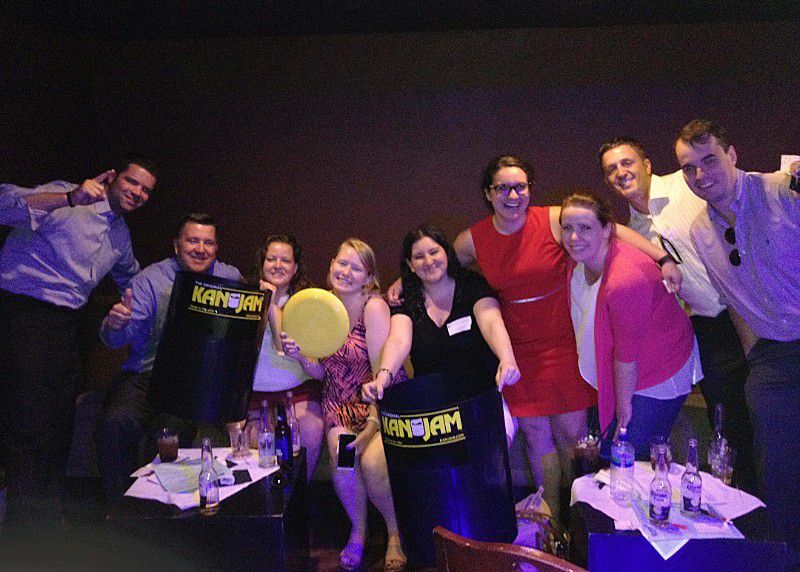 In addition, all attendees who signed up for our upcoming Kan Jam Classic were entered to win their own Kan Jam set! Congratulations to our top three trivia teams: Make Active Management Great Again, Sock Knockers, and In It To Win It. With record breaking fundraising, we are already excited and looking forward to our next event, the Expect Miracles Kan Jam Classic, which will take place at Boston Athletic Club on Thursday, August 25. To learn more about this upcoming event click here, or contact Megan Melville at mmelville@expectmiraclesfoundation.org. News, updates, and events via email.